Frozen trees and pine-cones, the dark blue sky with golden stars and your family gathering near the fireplace is the inspiration behind the warm and sparkly pieces from Sence Copenhagen’s new Winter season Facing North collection. Filled with a rich, dark colour palette of black with brown shades mixed with brass detail ornaments and semi-precious stones to underline your unique style this winter time. Beautiful bracelets with Agates, earrings with Labradorites and genuine leather necklaces will lead you in the festive atmosphere. 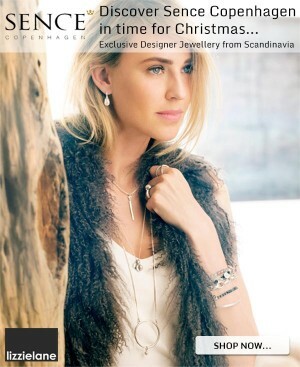 Give her the gift she will love this Christmas with SENCE Copenhagen from Lizzielane!